• Public Appearances > 2018 > 09 August – Kylie Jenner’s 21st B-day dinner. Then it was off to Delilah’s, where the real party began. Guests, which included Bella Hadid, The Weeknd, Travis Scott, French Montana, Scott Disick, Corey Gamble, Caitlyn’s friend Sophia Hutchins, Kendall’s ex Blake Griffin, Nicki Minaj, model Winnie Harlow, model Bella Hadid, singer The Weeknd and Dave Chapelle (who later sung on stage) were greeted with a giant, last-supper-style mural of the entire Kardashian clan. 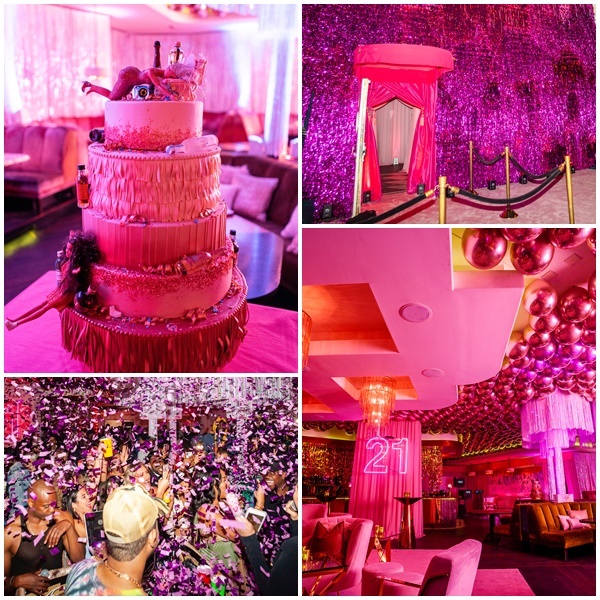 The room was fully adorned in hot pink, from the tinsel to the balloons to the lighting. A D.J. spun tunes while wearing a t-shirt with Kylie’s Forbes cover emblazoned on the back. 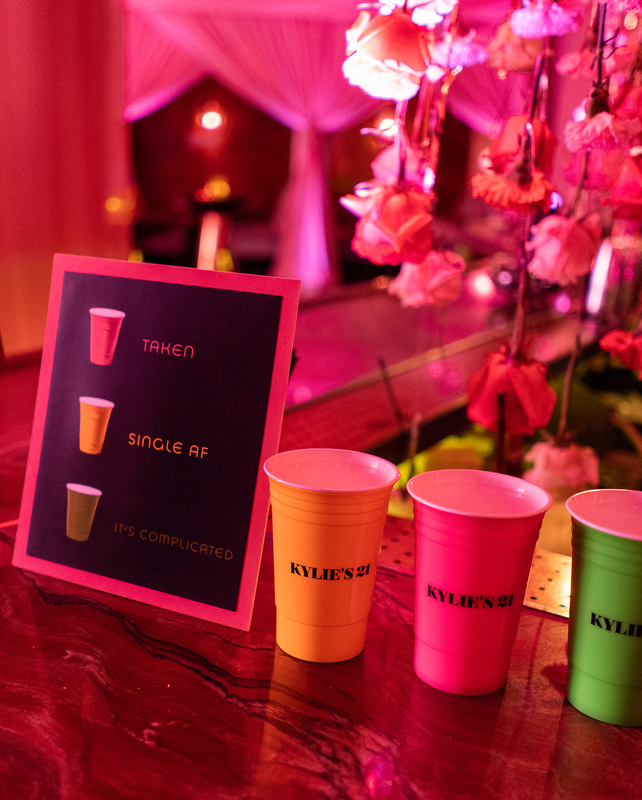 Guests drank cocktails out of cups that read “Kylie’s 21st.” The cup color was a cheeky play on each holder’s relationship status. 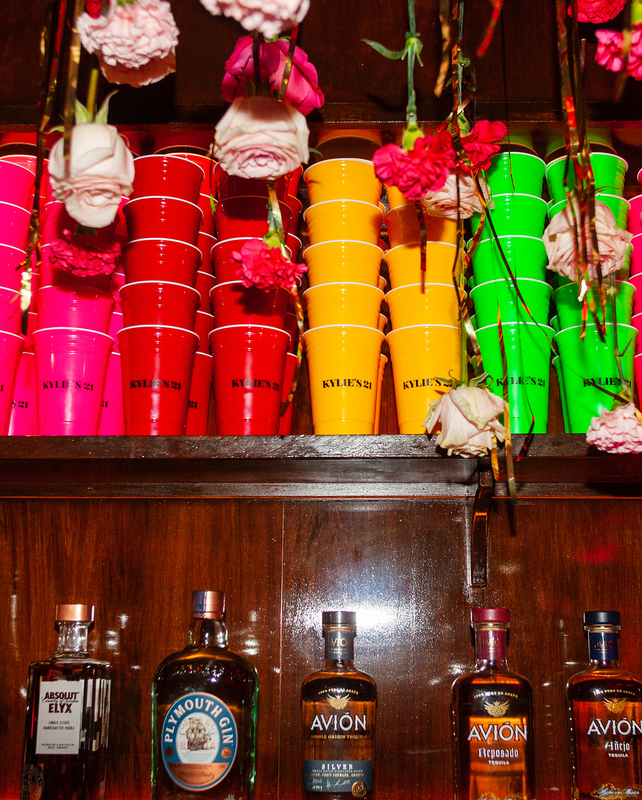 Kylie Jenner’s 21st birthday was shut down by police because it raged on past LA’s 2 a.m. closing time.